FOR NEW SPRING 2018 ART CLASSES, CLICK HERE! The best education is one that is actively sought, not passively taken. I view teaching as a collaborative venture between instructor and student based on mutual risk-taking and trust. Art takes courage. My goal is to support aspiring artists of all ages through the process of developing the skills and self-confidence to reveal one’s true artistic vision. I encourage students to deeply explore the linkage between creative expression, personal aesthetics, and lived experience. Every student has unique strengths and needs. It is my goal to assist students in shaping a studio practice, identifying influences, communicating clearly, and examining one’s artwork relative to the world as a whole. 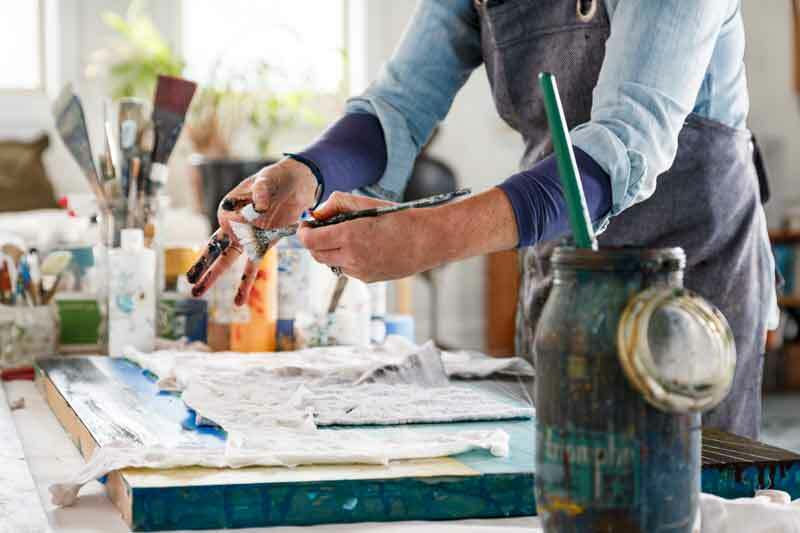 Workshops, studio skill-building, and one-on-one mentoring are all effective ways to take your creative work to a new level or to transform your paining hobby into a career in the arts. Contact Perri, perri@vmgworks.com, to discuss the possibilities.